RailAmerica is based in Jacksonville, Florida, and used to be a holding company of Shortline and Regional railroads in the U.S. and Canada (North America). 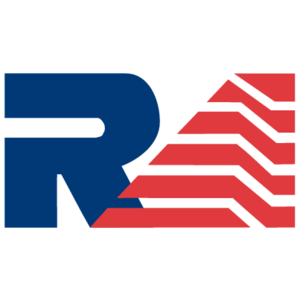 In 2007, RailAmerica was acquired by Fortress Investment Group and in 2010 they announced that Atlas Railroad Construction, a construction and maintenance company operating in the Northeast and the Midwest, had been acquired for $24 million. In 2011 RailAmerica acquired three Alabama Shortlines from Gulf & Ohio Railways for $12.7 million, which at the time, was its first Shortline purchase in over five years. In 2012, Genesee & Wyoming announced its intending purchase of RailAmerica for $1.39 billion and they assumed control on December 28, 2012. RailAmerica was integrated into G&W in 2013. NOT included in the RailAmerica deal was the Florida East Coast Railway (FEC) which had been purchased in September 2007 from Florida East Coast Industries. Today it’s a part of Railroad Acquisition Holdings, LLC, a subsidiary of Fortress Investment Group, LLC…. The company that sold RailAmerica.